HVAC Simulation is at the core of what we do here at our Singapore offices in BroadTech Engineering. 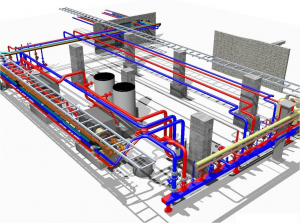 We are one of the industry’s leading CFD company in CFD consulting, HVAC concept planning, design and optimizing of HVAC design and development projects in Singapore. 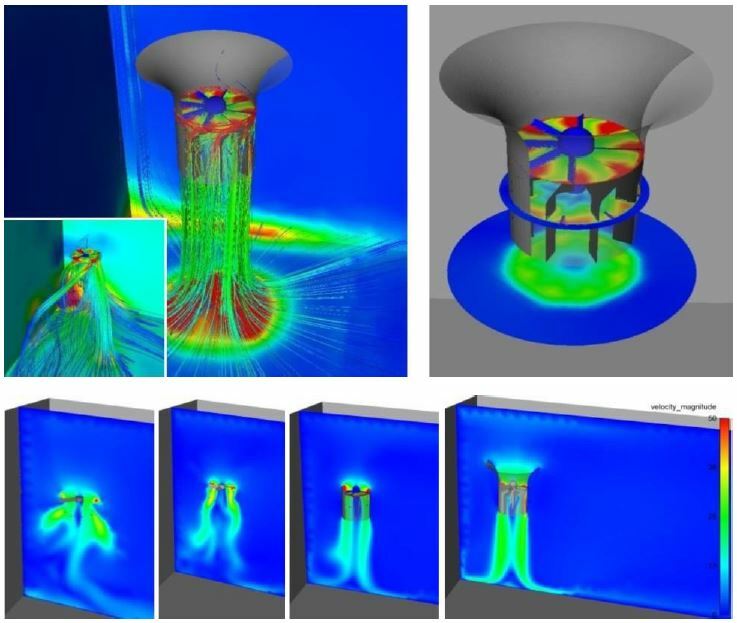 Our Fluid dynamics simulation capabilities at BroadTech Engineering helps engineering companies to optimize HVAC designs and meet the ongoing challenge of developing simulation models that are energy efficient, sustainable and compliant with standards. With the ever-rising demands for green building consultants for sustainable architecture in recent the years, HVAC design engineers are developing more complex and diversified designs to reduce loads, maximise energy efficiency and tap renewable energy resources. 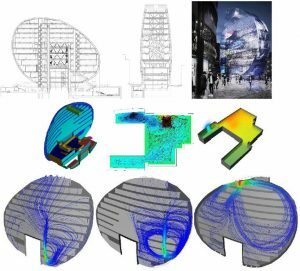 Computational Fluid analysis software simulations have proven to be an extremely powerful and effective engineering design tool, offering adaptable application in technically complex and demanding architectural environment HVAC projects. 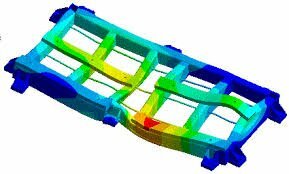 At BroadTech Engineering, these CFD simulations and CFD analysis are heavily utilized by companies as a performance optimization and design validation tool at an early design development phase. This is because CFD engineering simulation assists the implementation of innovative designs and energy-saving measures designed to decrease the overall building’s energy costs while maintaining or improving occupant thermal comfort in a building indoor environment. Through HVAC CFD simulation, we are able to accurately reveal find out the impact of specific Air flow velocity and direction angle on the thermal temperature distributions were generated. 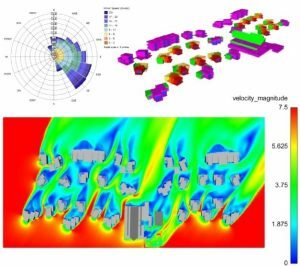 Using the HVAC simulation result data from the initial fluid dynamics analysis, our consultants are able to visualize the airflow behavior inside the high-ceilinged hall and propose recommendations to improve airflow delivery. Steady-state fluid dynamics simulations can be used to engineer and create an even temperature distribution across the entire indoor space. This helps to ensure that the thermal comfort of occupants in building indoor environment while being compliant with environmental requirements associated with Green building designs. HVAC simulation is able to analyze the flow performance of the existing and proposed HVAC air distribution system. Base on simulation results obtain, we are able to Optimize optimal distribution of air supply outlets, air diffusers, ceiling flow bars throughout the different parts of buildings needed to ensure proper air delivery in large or High ceiling indoor spaces. Having an even distribution of air helps to improve the temperature distribution at various levels of the building indoor space. This is achieved through the Fine-tuning of Parameters in the air distribution system such as Speed of airflow supply and angle of a direction of the air supply inlet. We are able to engineer design solutions that avoid the disturbance of hot air thermal stratification region which is a key important energy-saving measure. Air Returns and Exhaust fan can be strategically installed in elevated areas of the indoor space to capture the rising movement of buoyant hot air from the occupied zones. This air exhaust fan can also assist in the removal of any air contaminants or pollutants. 1. Identification of areas with high temperatures (around 25 ~ 31 degrees C). This could imply an insufficient supply air flow to these zones or perhaps due to high heat loads from the equipment or high human traffic. Base on this the air supply direction can be adjusted and velocity of air flow rate can be increased to improve air delivery distribution and lower the core volume temperature the accordingly. Spot cooling can be used to neutralize out the high thermal heat emitted from a heat source, such as a group of occupants or server/ equipment so that disturbances would not be created at the upper hot stratified air layer. Base on this, the supply air flow velocity delivered to that zone could be reduced. Such assembly hall usually consists of many levels and areas, such as the performance stage, catwalk, Audience seating area (which are typically divided into the first -floor level, Basement level, ground, Mezzanine-level and VIP private area) which are all interconnected by one central air continuum. Implementing an HVAC CFD simulation analysis helps to ensure that the total airflow supplied by the hybrid cooling system cools the occupied zones but only temper the upper regions where maintenance catwalks are located. 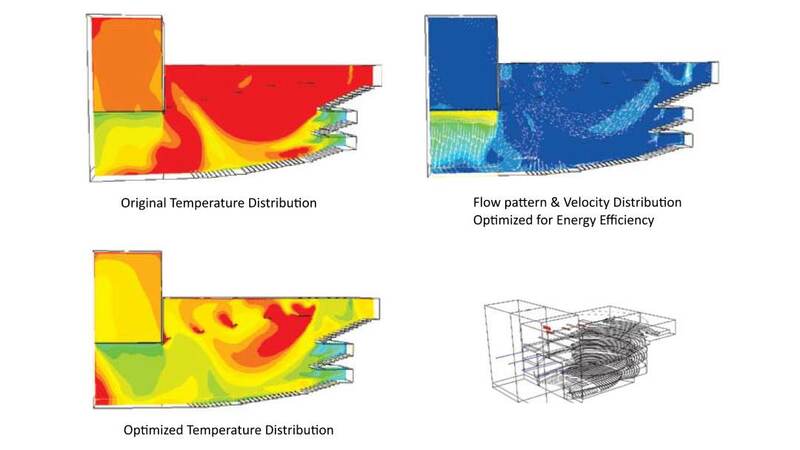 Fluid flow simulations have become an instrumental tool in supporting our client’s HVAC design process through accurate simulation of thermal comfort conditions, fast design validation, and optimization, and reduce energy consumption for building HVAC systems. The proven breadth and depth of advanced fluid dynamics modeling capabilities from BroadTech Engineering have enabled us to tackle a wide range of complex problems ranging from HVAC and smoke simulations, Air dispersion modeling, Air Quality Modelling and Fire Dynamics Simulation. If you are still interested in learning more about X and to see what it can do for you, explore what HVAC Simulation can do for your company today by simply calling to contact us at +6581822236 for a no obligation discussion of your needs. 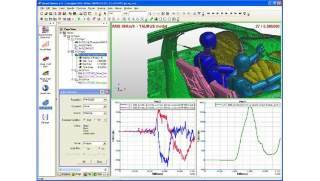 Simulation Objective: The objective is to meet the customer target (specifications). To analyze Air Partition, Thermal Control and Acoustics Level in the Automotive HVAC system. Methodology/approach used: Many design iterations have been carried and following measures are analyzed and considered for different mode conditions. With and without EVAP pipe, Position of TXV pipe, With and without EVAP Pipe Cover, Size change of the TXV pipe, Divergent section design changes, door modifications, smoothing inside the system and for rear coolers many design iterations have been carried and following measures are analysed and considered, Duct position change, duct sizing, case smoothing inside the system and roof duct design change. These each consideration have improved the overall reduction in the pressure drop. This project involved the cad modifications, meshing and simulation and results are compared to test bench. Tools Used: Star CCM+ and CATIA. The simulation results are compared with test bench results, the results were matched with test bench results. Many design iterations were carried to meet the customer target and more design proposals are suggested from CFD to design team. The CFD helped in achieving the requirement in air flow distribution, thermal control, and acoustics level. And the final design is proposed for production stage. This project is for India business for Nissan Automotive and this project is awarded and now it is initial production stage. The duration of the project in supporting CFD is 1.5 years, it is a long term project. HVAC Simulation (Particle Method) – The simulation was done to analyze air velocity at the different points of the output plane of an HVAC blower system. The results obtained were in close relation to the experimental values. 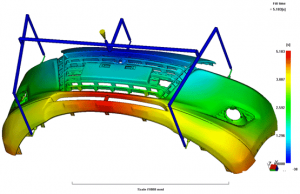 In-house CFD software based on MPS method was used. The aim of the simulation is to estimate the heat profile caused by the AHU due to air ventilation. The obtained results will be utilized as an input for the design of the ventilation system. Grilles are installed on both supplies and return duct with 850m3/h capacity each. There are two options provided by the project originator on grilles sizing. 625mm by 125mm with outlet speed of 5m/s. 625mm by 225mm with outlet speed of 2.75m/s. 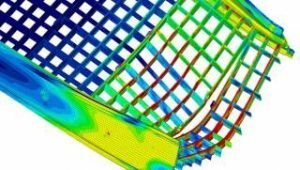 The angle of air supply and return through these grilles are to be optimized by this CFD simulation for improved performance. Boundary Condition: Different velocity and temperature profiles for winter and summer conditions to optimize the design and improve performance. Velocity and temperature contours were studied on various planes inside the building. Streamlines were also plotted to see the flow path. An optimum design was selected based on the CFD simulations for the angle of the openings and grill sizes. The objective was to simulate and study the flow and temperature distribution on dummies inside the automotive cabin. 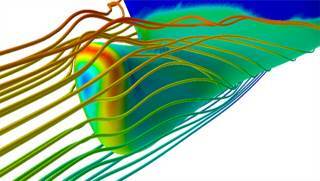 Thermal Heat Source was solved using OpenFOAM code. The power emitted by passengers were considered with realizable K-epsilon turbulence model. The results of the fluid flow and temperature distributions were in close agreement with the commercial code results. Simulation Objective: The purpose of this analysis is to predict the temperature distribution in the throttle body. Methodology/Approach used: This project involved the Cad modifications, meshing and Conjugate heat transfer analysis for Throttle body. The CHT analysis is carried for nine cases and the results are obtained. And the simulations are carried out for various design changes and input conditions. Tools Used: Gambit, Tgrid, Hyper mesh and Ansys Fluent. Outcome & Conclusion: The temperature distribution in the throttle body is studied for different gas flow (mass flow and inlet temperature) and coolant flow conditions. The main interest is to find the temperature distribution of motor housing in the body. This is very important to have the temperature within the limit in the motor housing. The coolant path is changed to have a better cooling the throttle body. In this study, many design iterations are carried out. Simulation Objective: To simulate the CFD simulation for an automotive ACAC system and to find the pressure drops in the system and each individual part (inlet tank, outlet tank, and tubes). Methodology/approach used: Totally five different input conditions have been carried out, the flow behavior and pressure drop regions are calculated. The comparison is made between different designs for different input conditions to find the pressure drop in each section and in the system. This project involved the cad modifications, meshing, and simulation. Outcome & conclusion: From the results, the top tank contributes to 11 % of total pressure drop, similarly tubes contribute 75% and Bottom Tank contributes 14 %. And the pressure drop in each section is calculated and plotted. The results were close to customer specifications. Objective: To minimize the thermal discomfort experienced by the operator in a Forestry machine. The Approach: Modeled combined effect of external ambiance (solar loading) and internal ambiance (radiant heat flux from the internal surface facing powertrain and other electronics) on cabin thermal comfort. Poor vent design and air distribution resulted in high localized air velocities causing non-uniform thermal gradient within the cabin. Conclusion: Flow field variations were studied for the combination of vent opening (front air/ top air) and varied air flow conditions. The suggested design modifications provided adequate local velocities and optimum temperature gradient surrounding the operator. The initial fan system was received from the client and cleaned up for CFD. (U)RANS simulation was setup and mesh independence was established. Key insights such as flow blockages and recirculation zones were identified in the system. Suggestions for enhancement in the fan blades and housing was made. The process was iteratively optimized until the client met their requirements. This was the first end-to-end CFD consulting project in my company’s and a provided a base to build upon.